As some of you guys well know, we (Hali and I, Katherine) are advocates of voluntourism, and we’re part of a non-profit voluntourism community called Alon ng Pag-asa. 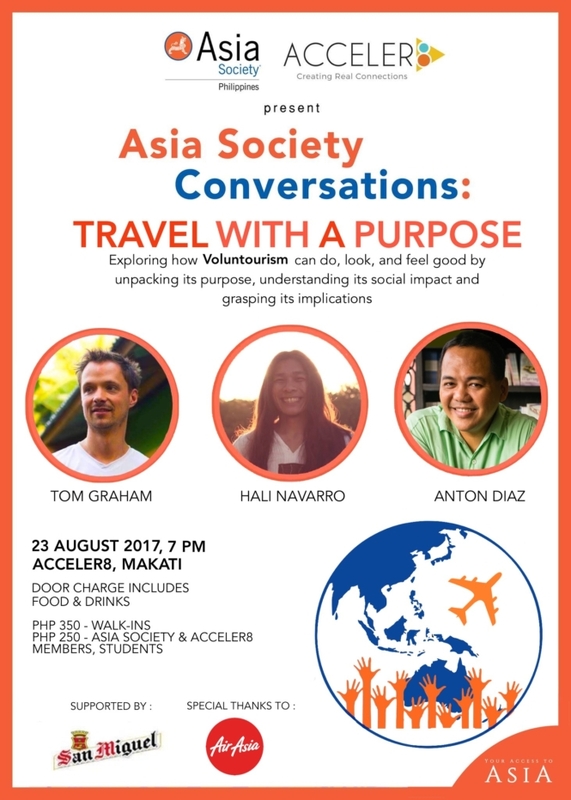 This August, we were invited to one of the monthly talks of Asia Society Philippines on “Traveling with a Purpose.” It’s part of their monthly discussion held in Acceler8, Makati. Hali was one of the panel speakers, along with Thomas Graham of MAD Travel and Anton Diaz of Our Awesome Planet. 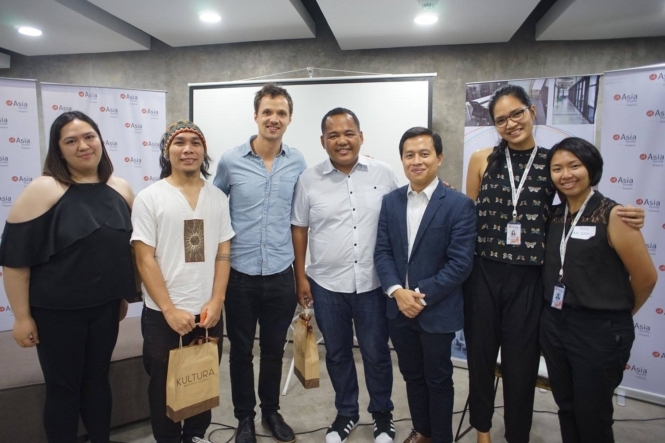 It was a great opportunity for everyone to learn more about purposeful or meaningful travel, advocacies such as voluntourism and actual real-life experiences doing all these. Here, let me tell you about my thoughts on this talk. #1. First of all, this was the first time we were invited to a talk. I was jittery with excitement. I was proud to see Hali answering during panel discussion and networking with other people in the related industry (and relieved that I wasn’t the one on stage). Even though I am the dominant voice in our blog, Hali is the actually the one who’s a people person. In talks or gatherings, I’m the introvert who’s in the corner, sometimes on her phone to tune out the noise… anything to do to avoid talking with other people. #2. I was surprised to know that there are different practices for “purposeful travel” here in the Philippines. I had the impression that most are organized for non-profit causes. MAD Travel offers tours that allow guests to experience and immerse in authentic local culture. A portion of their profit goes back to projects such as rainforest rehabilitation for the benefit of the locals. 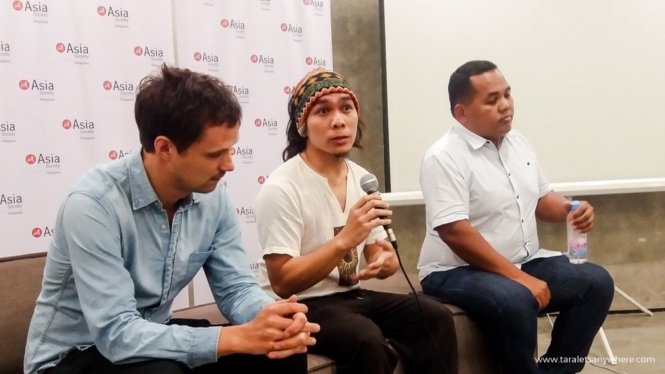 I’m somewhat familiar with them, and for a long time, I’d been urging Hali to go on one of their day trips to Zambales to be with the Aetas, a local tribe. Meanwhile, Our Awesome Planet promotes a particular destination to boost local income. #3 There’s a lot of things we weren’t able to discuss! The panelists and many of the guests are into entrepreneurship or affiliated with big organizations, most notably, Gawad Kalinga. I was a bit sad that we didn’t get to talk more about what we do, as backpackers who organize trips during our travels — I believe the spirit of voluntourism is in the small groups of people who want to make a little difference. Collectively, we create a ripple that we hope can be felt in the lives of people we encounter. So here I’m going to discuss the things I would’ve wanted to say but weren’t able to. It’s time for Q&A on voluntourism! Voluntourism is, in essence, traveling with a purpose. The term isn’t that much used here in the Philippines, where “outreach” is much more common. As said above, Hali and I are part of a group called Alon ng Pag-asa. It’s a small community of local backpackers that organizes outreach events in different provinces in the Philippines. For about 2 years, we’d been blogging about our trips here (specifically, in Jomalig Island in Quezon Province, Matnog in Sorsogon and del Carmen in Siargao). Currently, we do this once every quarter. We spent half a day with an outreach program where we give school supplies and whatever it is that the community or school needs and then spend the rest of our itinerary touring. For instance, in our Cebu-Siargao trip, we spent half a day for the outreach program. For the remaining days, we explored Oslob, island hopped in del Carmen and then visited Magpupungko Pool and Cloud 9 Resort in Siargao. What’s in it for you? Why should you try joining a voluntourism trip? Oh, there are so many reasons. 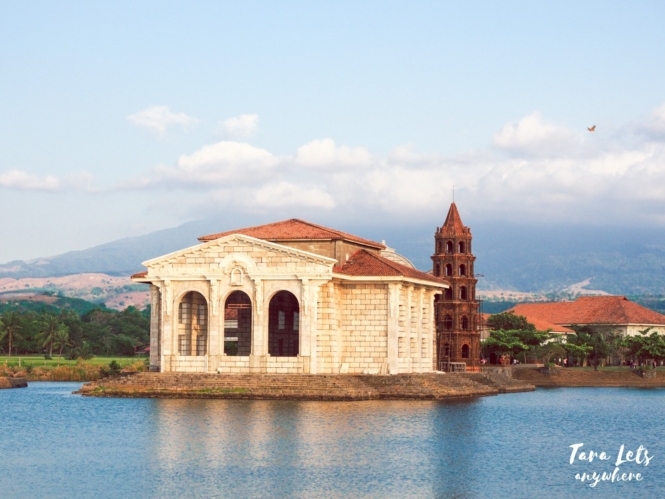 It’s budget friendly, it’s an opportunity for you to explore beyond the usual tourist stops. Personally, I find it very fulfilling and I know that most of my fellow volunteers feel the same way. It’s my own way of giving back. 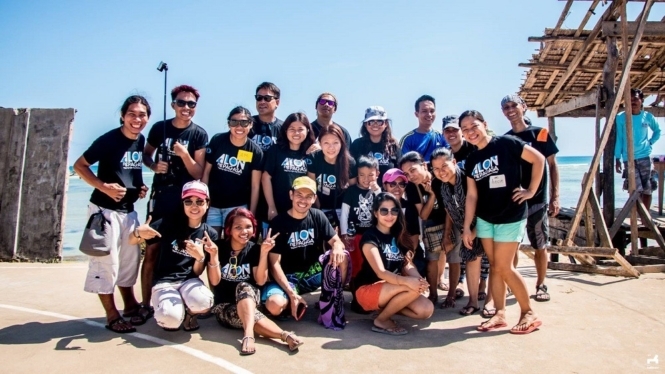 I also found a family with Alon ng Pag-asa… We do more than just plan for outreach events. We also meet up to watch movies, food trip and other casual activities. Tom has an insightful answer to this as well. This is what he says, especially to foreign travelers: it’s a way to have a real, authentic experience, a way to immerse in cultures that isn’t offered in regular travel agencies. What challenges have you encountered so far? What do people need to know about? I’m speaking here based on experience. Our number 1 challenge is fundraising. As we’re a small non-profit group, we aren’t affiliated with major organizations or companies that can provide large funding for our outreach events. We raise funds by selling shirts and occasionally organizing trips for-a-cause. We also accept donations, in cash or items. Number 2 is organizational growth. We were a very small group when we started. We were tight-knit… we have shared experiences, we have our own culture, we understand what is required of us, basically. Over time, some of the founding volunteers drifted in and out, and we introduced new people to our cause. This is where the problem started. I think a lot of volunteers joined in because in photos it looks fun (it is) and easy (it isn’t). What the photos fail to tell you is that sometimes you have to trek for hours to reach a school building or community in the mountains. Sometimes you have to topload on a jeep because space inside is reserved for the donation boxes. There are times you have to sleep on makeshift beds. When the weather is bad, the group has to adjust its itinerary and the outreach event always, always take precedence over leisure. This expectations vs reality clash caused issues. We had volunteers who weren’t prepared and complained a lot, we had people who thought the trip would be like a package tour. It became very stressful for our leaders. This is a failure on our side, of course. We didn’t realize that we can’t run the group like we used to when there were few of us. We have to create rules to better prepare for the events (when does the fundraising begin, how frequently do we organize an event, etc) and formally orient volunteers on what they’re getting into. Have you had people criticize what you do? Actually, most of the people we encounter are supportive or at least amenable to what we do. Every now and then we’ll meet someone skeptical, but these are the people who aren’t into social programs anyway. Nonetheless, I’d like to talk about an issue that I think should be addressed as well: sustainability. Let me tell you up-front, what we do isn’t sustainable or even a long-term solution. If you think it is, you’re looking at it the wrong way. We plan an outreach event to a different community every quarter. This is meant to be a short-term solution meant to fill urgent or essential needs of a community, to give children a headstart for their education. We give school supplies to those who have none or little, slippers to the bare-footed, clothes and bags for the rest. I don’t pretend that we’re changing the world, but when you give a pair of slippers to a child who doesn’t have one, that’s one less thing the universe has to deal with. We simply couldn’t adopt a single community as beneficiary or do other projects such as livelihood programs. These kind of endeavors are better left to established non-profit organizations with enough funding or sponsors. It also won’t align with our vision. The beauty of voluntourism is that it allows people to give back in a way that they resonate with. A lot of Filipinos want to do something for others but don’t know how or can’t due to time or financial limitations. Think of it as a stepping stone to something greater, if you will. For those who are ready for a bigger commitment, I always recommend joining large organizations such as Gawad Kalinga or World Vision, where you can sponsor the education of a child in the provinces for P750 a month. What do you want to say to those interested in voluntourism or joining you in one of your trips? #1. Always start local. It’s always possible to travel abroad to do something good, but I believe it’s best to start in your own backyard first. #2. Ask yourself if you’re fit to volunteer. We may have great photos online, but like I’d been saying again and again, being a volunteer takes hard work and commitment. Ask yourself honestly if you’re a good fit or you’re better off joining a proper package tour. Are there still community needs being fulfilled? If several groups visit the same school, is it still beneficial? How many notebooks does one child need? Won’t excessive giving do more harm than good? I honestly don’t know the answer to these questions, but it’s worth voicing out. So do ocular and research first. Coordinate with the school and LGU. Make sure that your efforts are going to locals who actually need it. #3. Voluntour trips should always be fun. Lighten up. P.S. Thank you so much to Asia Society Philippines for inviting us to this talk! For our readers, you can check out Asia Society Philippines or their Facebook page to join their monthly discussions. Are you familiar with voluntourism? Share your experiences with us! It sounds like a great initiative Katherine and I’m happy there’s people like you helping others out. It’s not at all what I was talking about – you’re doing volunteering “old style” which is how it should be. I’m no expert when it comes to volunteer tourism but I’m also sceptical in some cases. Do you remember the Fathom cruises to the Dominican Republic a year ago when it seems every travel blogger went there to help some kind of charity? It sounded bogus to me…bloggers had to pay, promoted the projects, all the while patted themselves on the back for the work they did. My parents used to work for NGO’s when I was younger and one of the things these non profits did was send university students overseas to help bring their expertise (usually learned skills) to work on projects overseas. These students didn’t pay, in fact they were usually given an allowance. But for the projects it was free labor (the NGOs paid the allowance) and technical expertise, and for the students it was a way to get real hands on experience and work overseas for a while. So it was a great deal all around. But when I hear about volunteer tourism these days it sounds like profiteering by some organizations to me. Why do they need a bunch of untrained tourists who know no more that locals do? Why do they charge them for the opportunity to volunteer? It just seems like another tourist niche, but is it truly volunteering? In my mind if you have to pay to help out, that’s not true volunteerism. Anyway, just some thoughts. Again, I’m no expert on the subject. It’s nice that you brought this up because we always get this question. Honestly I can’t comment on it either because I’m not familiar with businesses that use volunteerism. I think there are good and bad companies, but again I have no first-hand experience on that. I love what you shared about this NGO. It seems like a win-win. What kinds of skills are they sharing? 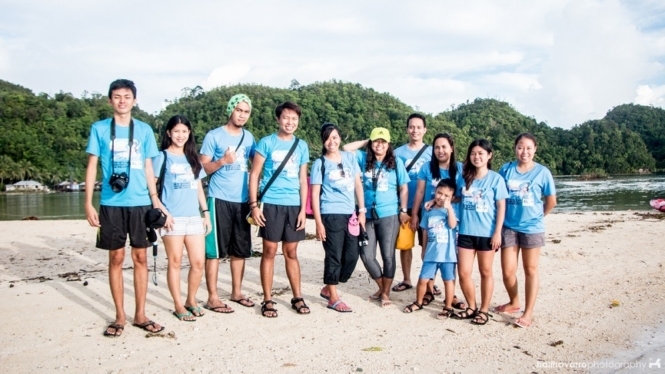 The emerging form of voluntourism in the Philippines is very different (and under-reported). There’s a huge movement of small groups of backpackers doing outreach programs to specific locations. Some of them give out slippers, boots or, in our case, school supplies. What our group does is purely non-profit volunteering and there is no middleman. We – the volunteers – do the planning, fundraising and go to the actual location for our outreach program. We give out school supplies or other items, mainly to children. We also conduct short learning exercises, such as on proper garbage disposal (very important in underdeveloped communities), personal hygiene (eg, proper way to brush teeth) and so on.